The business aviation industry has had to adapt rapidly over the last decade. First the global financial crisis put paid to a lot of business travel excess; now digital transformation is changing the way private operators work. Pedro Nassif is charged with managing that transformation for global aviation company VistaJet. He explains how the industry is changing in response to new customer behaviours and expectations, and how the business has deployed technology to digitise its back-end processes to offer the efficient, transparent, end-to-end business aviation app VistaJet Direct. European CEO: As I mentioned, the first big shake-up came when businesses realised that private jet ownership wasn’t necessarily the most efficient use of resources. Pedro Nassif: Absolutely Paul; let me start by emphasising how important it can be for a business to fly their executive with a private jet. It really shortens the distance between their various offices, meeting customers and so on. That interaction is still very important. However, there are obviously more efficient ways than others to fly on a private jet. And I think the industry has learned that owning an aircraft – having such a multi-million dollar investment on their balance sheet, incurring all the fixed costs that come with it – may not be the most appropriate way of doing it. European CEO: So how does a company like VistaJet give businesses that flexibility, that opportunity for private flying, but without those costs attached? Pedro Nassif: That’s achieved very simply; I mean, the average plane out there flies on average 250 hours a year. And that’s not nearly enough movement to make sure that your fixed costs are diluted. We fly much more than that because we have many more customers, and we’re able to pass on the saving to the customers. 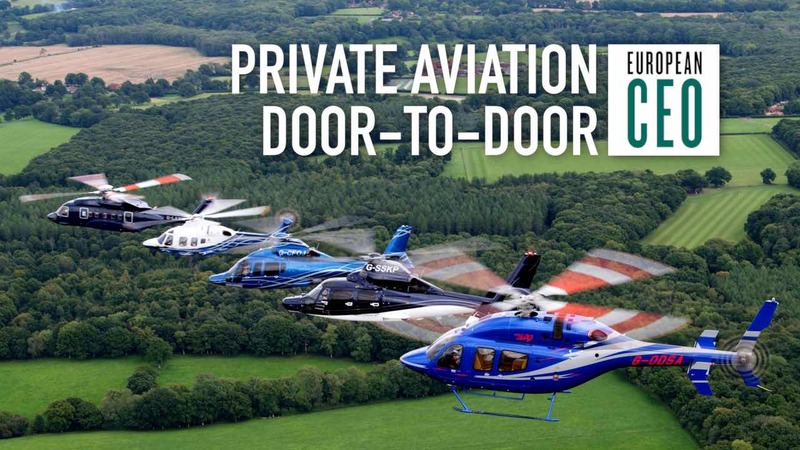 You will only pay for the hours you fly, but also when you purchase one of our offerings, you buy into the whole fleet. These are Global and Challenger jets – the right jet for the right flight – and a consistent service before you even get to the plane. European CEO: One of the savings you’ve passed on is actually abolishing positioning fees; how were you able to do this? Pedro Nassif: It all starts with our customer pain points, and trying to address them. So as an example, a very simple case. Let’s say that our passengers are waiting for us in Paris, and the aircraft is in Nice. You will probably have to fly Nice-Paris empty to pick up your passengers. That’s a cost that someone has to bear. We have a fleet of 70+ aircraft, globally deployed; chances are, one will be very close to you. We have cutting edge systems that allow us to manage their availability, and therefore provide that flight to you with minimum cost: zero. European CEO: Those cutting-edge systems are part of your digital transformation, which you’re offering to customers through VistaJet Direct; tell me more about this offering. Pedro Nassif: Correct. So, VistaJet direct is a one-stop shop for our customers to purchase flights online, manage their itinerary online, until they reach their destination. And all of that with the backup of our expert operations in various places of the world. But VistaJet Direct is only the tip of the iceberg, so to speak. There’s a lot of processing and digital transformation that happens in our back-end. We must know at any point in time where our fleet is, what’s the best plane to deliver a given flight. The information must flow seamlessly across the various departments in the organisation; and as a matter of fact, across the whole service chain. When a permit is requested, that request must go in real time to our suppliers; the confirmation must come in real time so that it is delivered to our customers. That wouldn’t be possible if we just had an app. We would have to have somebody in the back-end making phone calls, reading emails, typing into a system. So for it to be scalable, the whole digital transformation must happen across the service chain, and not only in the front-end, which is what the customer sees. European CEO: How does the VistaJet Direct experience differ from other business aviation apps? Pedro Nassif: What we see is a number of online brokers comparing across various operators to provide transparency on price. That’s welcome. However, most of the time they cannot commit to that price, because it’s subject to the operators agreeing to it, and most of the time subject to even the owner of the aircraft agreeing to it. Which causes a little bit of a delay and friction in the process. We, because we own and operate the fleet, are able to commit to the price there and then in real time. The other aspect of it is that the customer experience doesn’t end the moment the customer purchases the flight. It’s the whole flight experience. That involves selecting your catering; that involves selecting your car service at departure, at arrival; that involves getting a confirmation that your flight is ready. Among other things. So, we believe that the players out there in the market aren’t able to deliver that, simply because there are too many intermediaries in the chain, and they don’t own the whole process. European CEO: And what does the future hold for VistaJet? Pedro Nassif: Well, we believe the industry is going to evolve further into the asset light model, and technology has a big part to play in it. We’re seeing purchasing habits shifting towards digital channels. Customers want real-time information and confirmation there and then. They don’t want to wait. And we have deployed over the many years the technology to get us ready for it. European CEO: Pedro, thank you very much. Pedro Nassif: Thank you very much.